EJIDO MODELO, Jalisco-- As we walked through the neighborhoods of this lively little town, I noticed most of the clotheslines were filled with children's clothes. 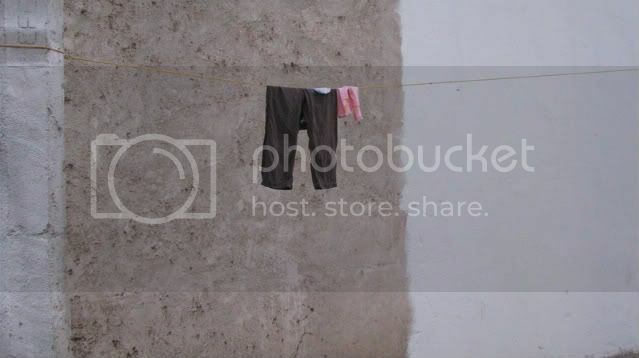 These tiny pair of pants were hanging on a line on the street. The people of the town were all jokesters, always laughing and poking fun at people with a big smile.